An alternative to Dry January! 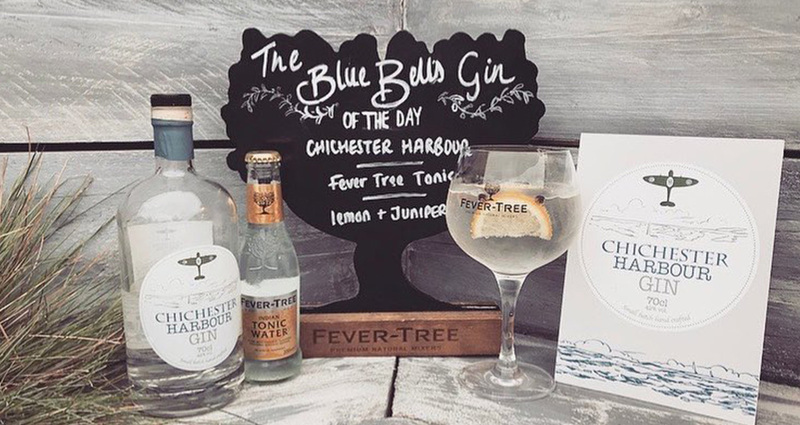 Every day in January we will be offering a different ‘Gin of the Day’ from our large selection of local and interesting gins! We have our core range from Bombay Sapphire which is distilled in Hampshire and our range of Warner Edwards Gins to the more unusual and bespoke like Fort & Jarrold’s Gin, and with Burns night around the corner my personal favourite The Botanist Gin, the world’s only Islay dry gin. There is definitely something for everybody’s palate and its interesting how different tonics and garnishes can enhance a gin. 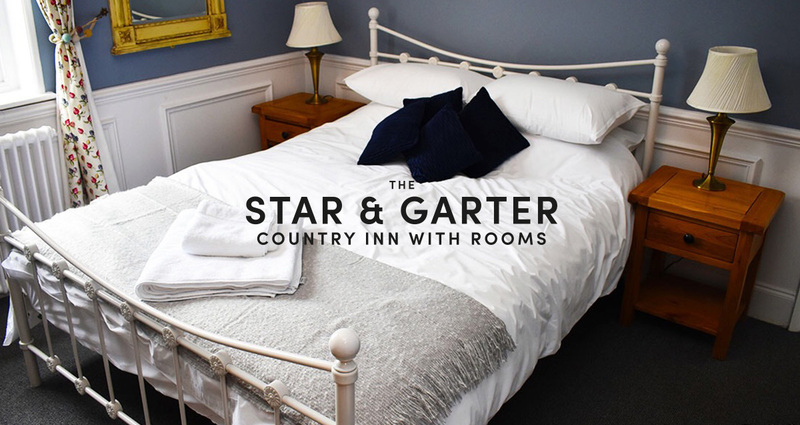 So pop along and give them a try! Bombay Sapphire and its iconic blue bottle are rich in history and distilled in Hampshire, While ordinary gins boil their botanicals directly in the spirit to achieve their flavour, the wonderfully distinctive taste of Bombay gin is created using the Vapour Infusion process. They still use our original Carterhead stills – Tom and Mary – from the 1830s, but have now added two state-of-the-art 12,000 litre copper pot stills – Henry and Victoria – to the original refurbished stills. I like Bombay Sapphire, it’s not got the distinctive ‘London Dry’ taste a bit more refined floral with nice citrus notes, still has some juniper but not in your face and develops with the other botanicals as you drink it. Real craft is more than a sticker on a bottle. It’s dirty hands, hard work, full hearts, and a deep love of the land. It’s coming to work every day with a smile on your face and a fire in your belly to make uncompromising, epic gin. Real craft means graft. Real craft keeps you humble. Warner Edwards started in 2012 on a family farm. They began with the things that matter most and a dream to save the world from mediocre gin. They ended up stripping the industry back to its roots: we became gin farmers. Warner Edwards draw water from the spring on the farm, grow the botanicals, and collect fresh honey from their own beehives. They try to keep things local and, as custodians of the land, they harvest with a respect for nature and the community. As they go, they try to give back more than they take: re-sow, replant, rebuild. My personal favourite, and with Burn’s Night around the corner it’s the perfect excuse if, like me, you don’t like whisky and want to celebrate with a wee dram! I personally think that the Scots have it right when it comes to Gin distilling and the years of blending whiskys have certainly paid off with this Gin, it’s rich and complex layers of citrus with a hit of saltiness, then reveal a woody, earthy finish from the foraged botanicals which leave a warm feeling to the mouth. I enjoy simply with a regular tonic, sprig of thyme and wedge of lime. A progressive exploration of the botanical heritage of our Isle of Islay. This first and only Islay Dry Gin is a rare expression of the heart and soul of our remote Scottish island. A thick Scottish soup made of smoked haddock, potatoes and onions. We have a wide selection of single malt whisky to wash them down with or a pint of Wee Malc’s 80 – or a botanist & tonic! A Scottish style malty beer brewed in the style of some of the Scotch Ales of yesteryear. “Wee Malc’s” is a medium chestnut colour with a deep caramel and vanilla flavour and aroma. This beer is not too bitter and is the perfect accompaniment to hearty rich stews and casseroles, or indeed Haggis, Neeps and Tatties! The tartan on the pump clip is “Irving of Bonshaw Tower” Tartan. 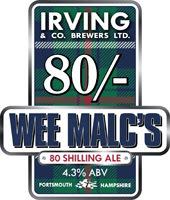 Wee Malc’s 80/- is available from mid January through to mid February.